Rubber rubbing flexible sanding blocks. 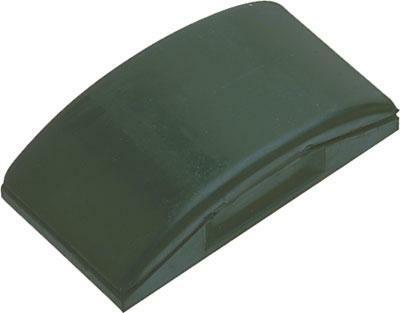 They are flexible rubber blocks which hold the abrasive sheet securely during wet and dry sanding operations. They are designed to be hand held which allows greater control when sanding small areas. Properly used they will result in a good quality finish prior to priming and overpainting.